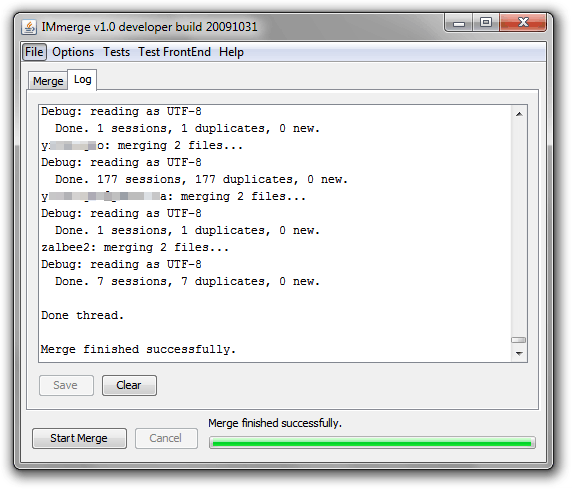 Another oft-requested feature was command-line arguments, so that you could automate your merges. I’m pleased to announce, that not only are arguments coming, but also a new menu-driven interactive CLI will be available. A legacy mode will be included for anyone who had already written scripts for IMmerge previously. 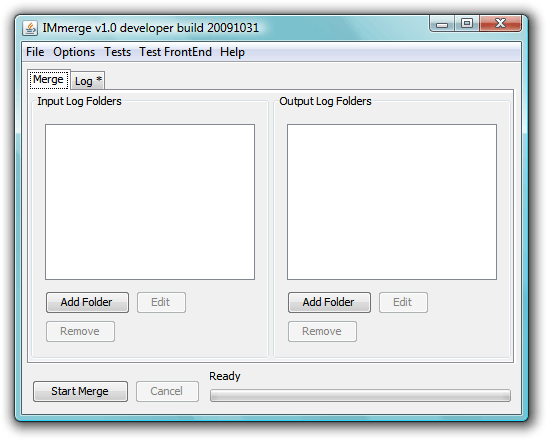 This brings the total to 3 CLI modes and 1 GUI supported by IMmerge. A great feature for Trillian Pro users is the visual Activity History Viewer. 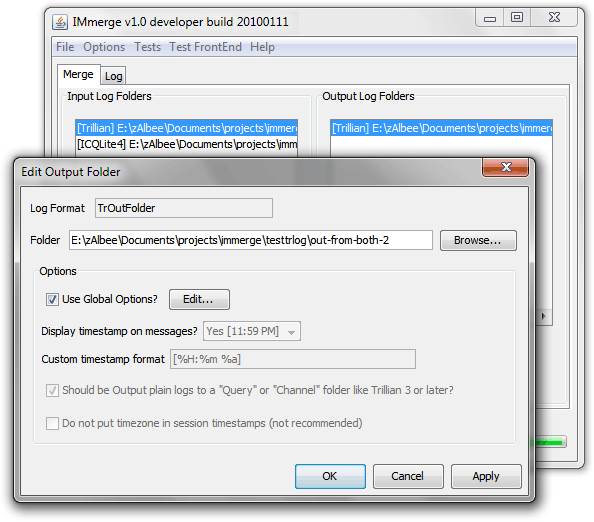 This viewer depends on a new XML logging format; so from version 3.x forward, Trillian would start to create both XML and text logs. But the XML must be in a precise format to work, and many users have complained of chat history not showing up in the viewer for a variety of reasons. Either Trillian’s one-time conversion from LOG to XML (for upgrades from pre-3.x) did not occur, or did not occur correctly. Still other users may have been confused by the 2 files and erroneously deleted either the XML or LOG files. Previously, the only way to convert LOG files to XML was to (Warning: I don’t recommend this!) 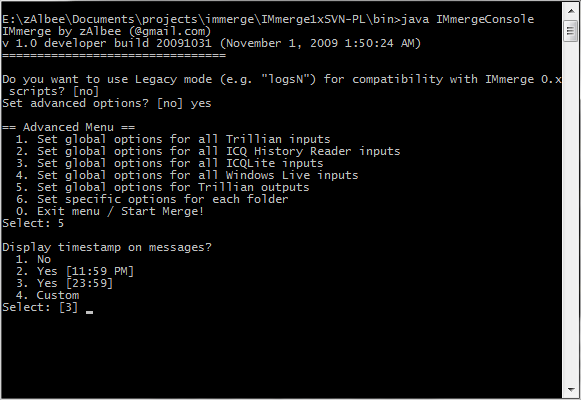 delete the whole XML file and force Trillian to regenerate it. This is not a great idea because 1) the XML actually contains more specific information, more reliably than the LOG files, and 2) Trillian’s converter sometimes does not work correctly (it is known to insert -1 timestamps, which causes entire sessions to be hidden from the viewer). This version of IMmerge has been in the works for a while. One reason is that the architecture has been completely redesigned and much code was re-written from scratch. The single-file source code of IMmerge 0.66 available today looks nothing like the architecture for IMmerge 1.0. It took a long time, but the changes should make it easier to introduce new conversion formats and more advanced merge modes in the future; it has already made it possible to support both the GUI and CLI front-ends relatively quickly. I plan to cover these changes in a later blog post. Will 1.0 support merging facebook-chat or gchat logs? Yes, it’s supported as a part of Trillian logs. There will be no new IM client formats in the initial release of 1.0, but expect more to come later! Hi, any prediction on when will it be ready? Development is delayed as I have been busy elsewhere. I may release a beta version first with fewer features. There is one new feature that needs to be tested before this happens. Will it support archive importing for Yahoo! Messenger? Sorry, Yahoo Messenger conversion will not be supported in this release.